The National Institute for Health and Care Excellence (NICE) currently state that there isn’t insufficient evidence showing continuous glucose monitoring (CGM) to be cost-effective enough to recommend widely. However, NICE recommends that CGM is considered in a number of specific situations which we will outline in this guide. CGM usage may become widespread if use of the technology if data can show that it is effective in improving blood glucose control, reducing episodes of hypoglycemia, particularly severe hypoglycemia, and shows evidence of being cost effective in meeting these aims. If having more than one severe hypo a year that’s brought on by no obviously preventable cause. A complete loss of hypo awareness. Frequent episodes of problematic hypos occurring without symptoms. If an extreme fear of hypoglycemia is causing problems or distress. If unable to achieve an HbA1c of under 75 mmol/mol (9%) despite testing blood sugar levels at least 10 a day. The intended user of the CGM is willing both to commit to using the CGM at least 70 per cent of the time and keep it regularly calibrated. The user is on multiple daily injections or insulin pump therapy. The health team providing the CGM has the expertise to advise on effective use of the CGM. Experiencing frequent episodes of severe hypoglycemia. If hypo unawareness is leading to seizures or anxiety. If a child with diabetes is unable to recognise symptoms of a hypo or unable to adequately communicate the symptoms they have in order to prompt hypo treatment. Problematic severe hypos are occurring. 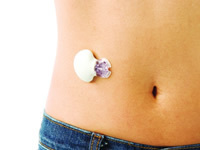 CGM could help improve poor blood glucose control. CGM can provide useful information towards minimising too high or low blood glucose levels. If CGMs are used, there should be support available to help with analysing and interpreting results and trends. In February 2016, NICE published guidance on ‘Integrated sensor-augmented pump therapy systems for managing blood glucose levels’. Integrated sensor-augmented pumps are insulin pumps that can communicate directly with CGM sensors. Whilst there are a few insulin pumps that allow CGM integration, NICE state that it is only the Medtronic MiniMed Paradigm Veo that has shown enough evidence to date of being sufficiently cost effective. A key reason why the MiniMed Paradigm Veo has been recommended is that it has a feature known as Low Glucose Suspend which switches off insulin delivery whilst blood glucose levels are too low. They experience regular unpredictable hypos despite having good blood glucose control (an HbA1c of no more than 48 mmol/mol or 6.5%). The insulin pump company collects, analyses and publishes data on the use of the MiniMed Paradigm Veo system. Use of the system is overseen by a health team with expertise of both insulin pump therapy and continuous glucose monitoring. If CGM sensors are used at least 70 per cent of the time. The user adequately understands how to use the technology. The user agrees to use the system whilst undergoing a structured diabetes education program.